As a full-service eCommerce solutions provider, Vaimo offers online retailers everything from web design and hosting to ERP and CRM expertise. 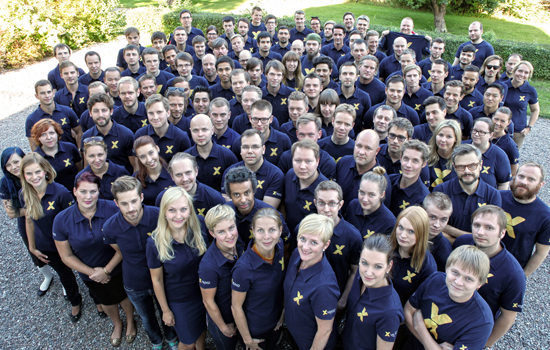 Since it was founded in Sweden in 2008, the company has made it a priority to stay lean and agile – enabling it to innovate quickly and keep pace with big competitors and technology’s endless evolution. Early on, Vaimo set up Dropbox to share and store files. On opening its second office in Estonia, the company realised a growing need for a distributed file-sharing solution and file version control. “We had a local server at the first office, but that quickly hit the wall when we expanded” says co-founder and Chief Creative Officer PJ Utsi. According to Utsi, Vaimo decided to move from standard Dropbox accounts to Dropbox Business because “it addressed all of our pain points and let us manage file flows across team members and locations much better”. Now, when a new project starts, Dropbox Business becomes the central place to store inspiration images, logos and other materials during the “discover and define” phase. Using commenting, Vaimo employees can instantly communicate about work within specific files directly, rather than struggling to keep track of instant messages and emails. When collaborating with outside agencies, Vaimo count on Dropbox Business to share wireframes, IT architecture, interaction designs and visual input files. For example, when working with the agency that supports Björn Borg, Vaimo receive externally developed visual concepts via Dropbox and use them to create their final designs. “We work closely with the client’s eCommerce, marketing, sales and retail teams. There are lots of moving parts, but Dropbox Business helps us stay on top of it all” Utsi explains.